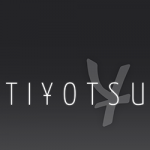 tiyotsu posted a topic in Post Your Original Music! tiyotsu replied to RebeccaETripp's topic in Post Your Game ReMixes! amazing! I was really curious about the forest temple. I love the forest temple theme, but the original has such an experimental and dreamy touch, it's hard to recreate but I can hear that your harmonies are almost there! respect for finding all those fitting instruments too. good job did you use percussion loops for example in the gerudo valley theme?